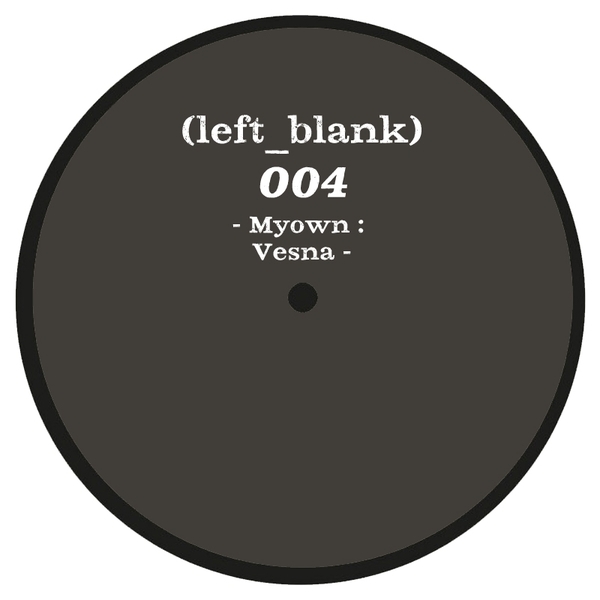 Left_Blank spread their wings to Russia with the 2nd vinyl release by 23 year old enigma, Myown. 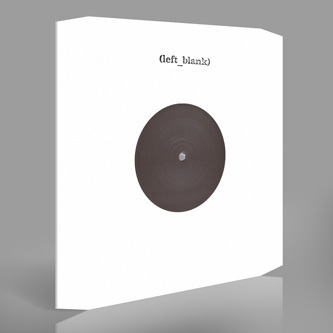 Much like his debut for Anton Zap's Ethereal Sound imprint, and in keeping with his new home's explorative aesthetic, the 'Vesna' EP exhibits a convoluted, hyper-structured fusion of dark 2-step, Electronica and House. He takes this to its logical limits with warped Garage contours infused with strange folk-jazz melodies and haunting, cyber-surreal resonance on opener 'Suromna', while 'Vesna' sounds like a genetically modified clone of an El-B riddim imagined by rogue scientists under orders from Putin. The flipside is quite the opposite, as though he remembered to take his pills and came up with the sunny-side Deep House disposition of 'You Can Stop Everytime'. Tip!